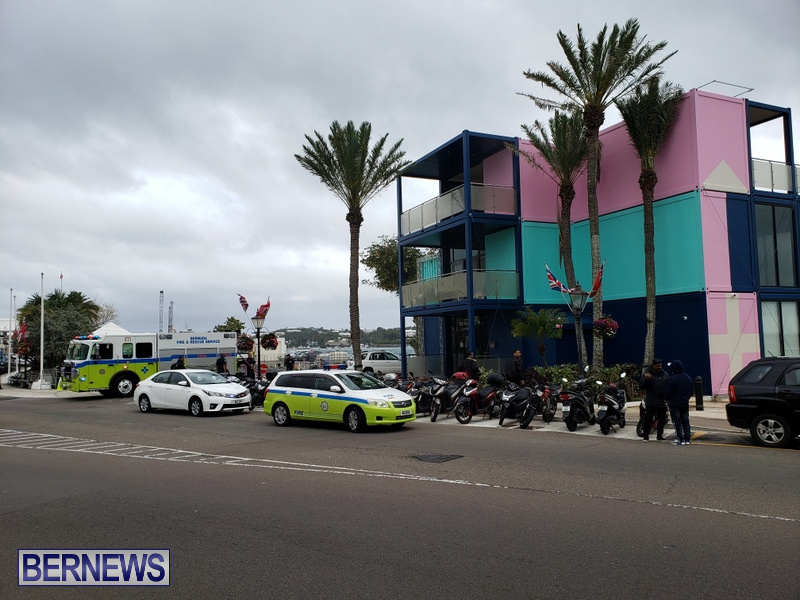 [Updated] Bermuda Fire and Rescue Service personnel attended a fire this afternoon [April 2] located at the structure that houses the new Visitor Services Centre on the Hamilton waterfront. Fire fighters wearing breathing apparatus were seen heading into the structure. Further details are limited at this time, however we will update as able. The two-level – plus roof deck – structure previously served as the Artemis Team Base during the America’s Cup. This building is so far off planning code, should not be allowed. LOL, they would not allow me as a citizen to build something like this. True, but that’s no reason to set fire to it mate. Agreed; it’s a horrible blot on the landscape. And it wouldn’t take you 6 months to put together some shipping containers either. It’s the Black Watch Pass / North Shore roundabout all over again. An $80,000 project that is an eyesore. Ya right, let me get some containers and stack them on top off each other. Wait these things are paid for from Americas Cup. So why is it costing us $80,000. Thats WORST, America’s Cup couldnt pay for it being we are promised a $300 Million return? That’s WORSE. Ffs, the language you were born speaking isn’t that difficult and the foreigners you hate so much can speak it better than you. No wonder the government can’t implement an English speaking examination for work permit applicants. The locals fckn struggle. Go ahead and call me non Bermudian because you can’t grasp a simple concept. The amount of times I’ve seen this used on this specific site is appalling. Then we are supposed to take you seriously when we get a barrage of your biased “research” and you’re hardly capable of structuring a coherent sentence. A village is missing their idiot, make your way back. Because it won’t build itself. I know and I bet it is not fire certified like we have to abide by nor is it insured! for the fire to be contained in one area I will beg to differ. Unlucky for the welder. Keep begging as these morons have no clue what they are doing and now competing with local business in front street! What happened to advertising the space for bids? It is so ugly! It is a shame to see our beautiful waterfront with this pile of containers. 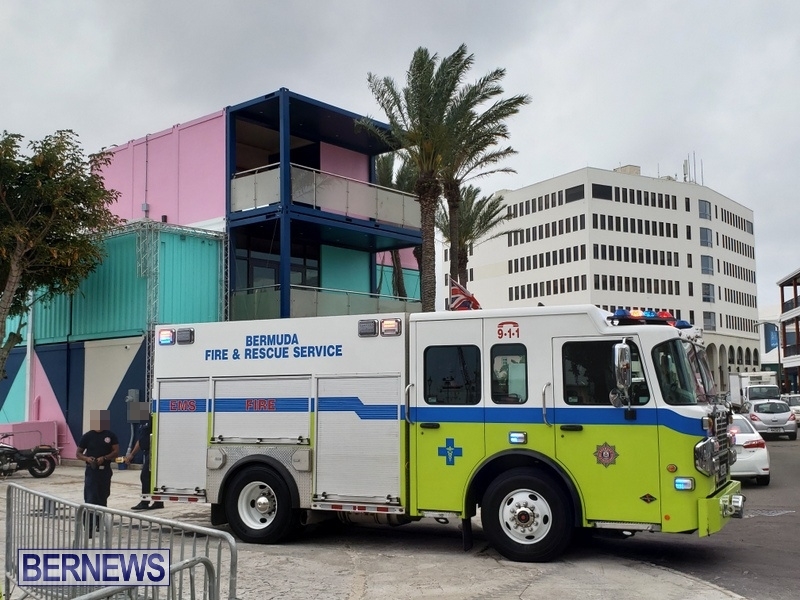 What will happen during a hurricane, because this structure is not only an eyesore; it could be downright dangerous when these containers get blown all over Front Street! 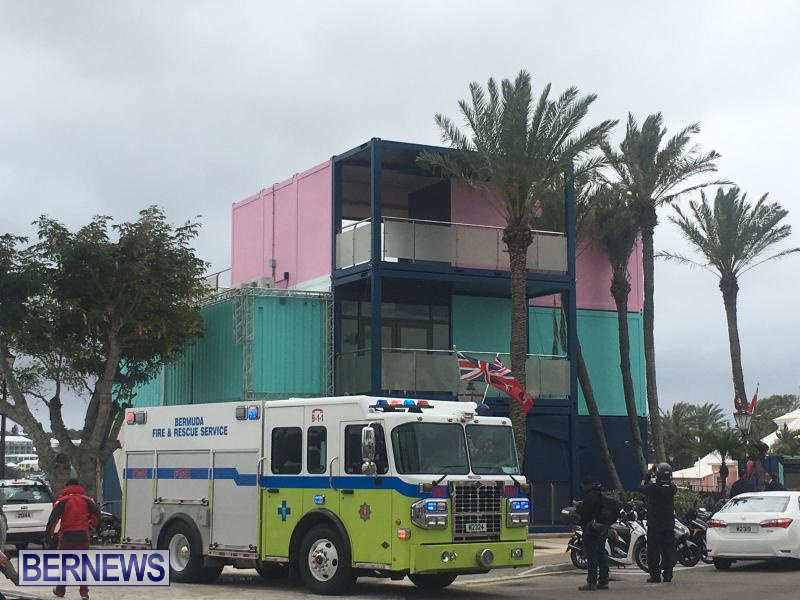 Containerized buildings have been a thing for many years now. Made out of containers looks like to me. Who signed the fire thing saying it had passed inspection. It shouldn’t be there in the first place. UGLY, and have blocked the iconic front street view. 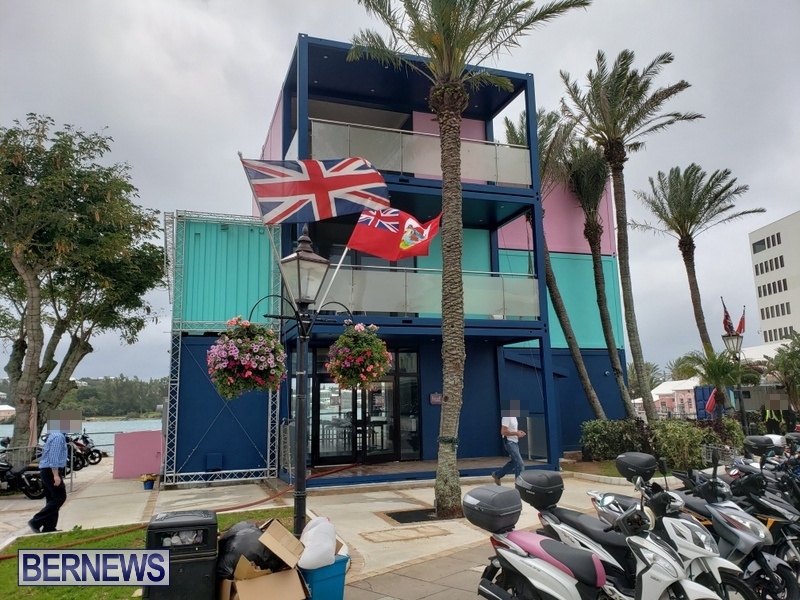 Thought we were trying to get rid of the waterfront containers… no matter how you look at it that structure is the most un-Bermudian looking piece of metal that probably cost the taxpayer 2 million. On top of that, how does the BTA get first right prime real estate, the advantage of attracting the majority of visitors and then choosing to add a ‘retail’ component competing with local businesses. Why didn’t that piece of property go out to tender? This is wrong. They instead should be strictly a visitors center and send their ‘customers’ to the local retail stores instead of competing with them! Be a pile of rust in time, crazy idea then will be come an eyesore. Some of the most expensive real estate in the world and they stick containers together for a building. How third world is this? Nowhere near as 3rd world as how badly we’re going to get jacked when the waterfront re-development project gets a rolling ! Or a First Class Airport were workers are not getting paid, would’nt happen if they were UNIONIZED!!!!!!!!!!!!!!!!!!!! This is not a building, its a bunch of containers put together and it looks like TRASH. IT SHOULD HAVE NEVER BEEN ALLOWED!!!! It has cost far more to put this crap here that it would have had they put a tasteful little building with a traditional Bermuda roof. Someone’s head should roll for this. UTTER GARBAGE, LET IT BURN DOWN…!!!! It should have burned to the ground. 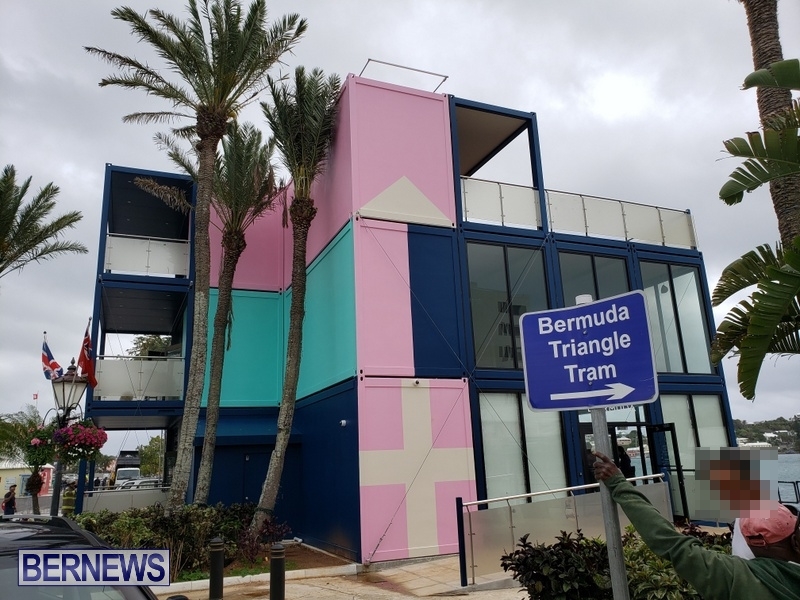 That’s an appalling example for a Front Street building and the BTA should be ashamed of themselves for creating this non Bermudian looking tin can to promote Bermuda. Personally I feel it’s an eye sore. Does not look like a structure that should be on Front Strret. Hideous looking tin can that cost us the tax payers about 1 million to date, and the kicker is, those containers were given to us by Artemis. 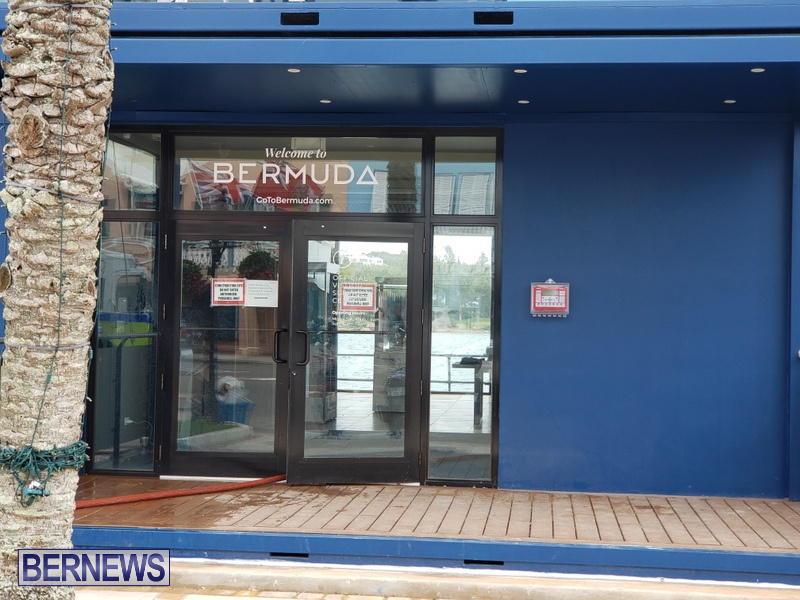 Ugly looking, and a poor example of Bermuda architecture by BTA. Nothing was given to ‘us’. It has costed the taxpayer 2 million! That building should have been left where Artemis erected it! Visitors can’t miss this blight on the waterfront and no one would want this in any tourism ad. BTA needs to hold a contest to come up with a design to convert it into something Bermuda can be proud of. A suggestion: they should let a local artist paint a mural of sorts of the Front Street skyline (with the colours of the Front Street buildings) on the structure. That will help it blend in with its surroundings. 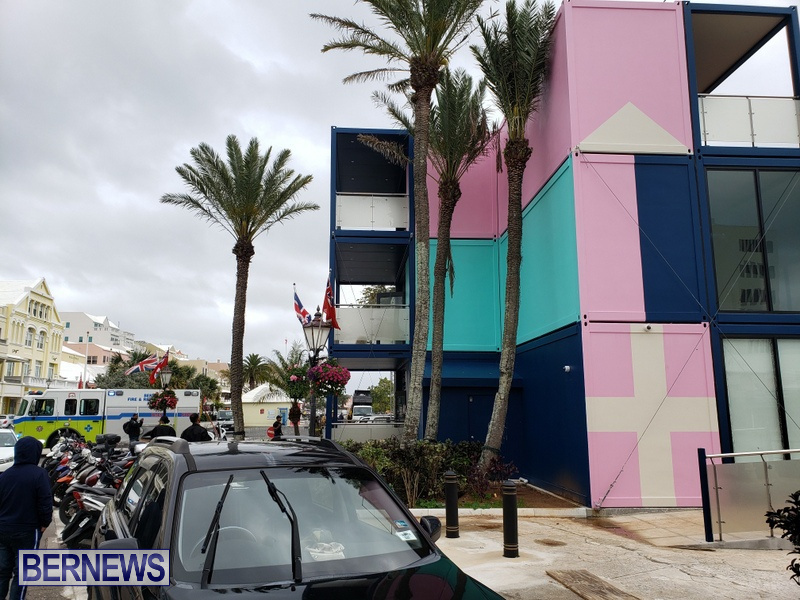 why can’t Bermuda have a modern building on Front Street? does everything have to be pastel and white roof? the new aiport looks AMAZING. I, for one, would like to see some more modern architecture on Front Street. Looks much better than the former bank building near by. Are you an architect now? Maybe planning should not allow you to build any buildings. The best thing about this new visitor center is that it makes the old HSBC building in the background look architecturally beautiful (in comparison)…well that is until it goes rusty. I saw that same structure down Jamaica…is it the same one? 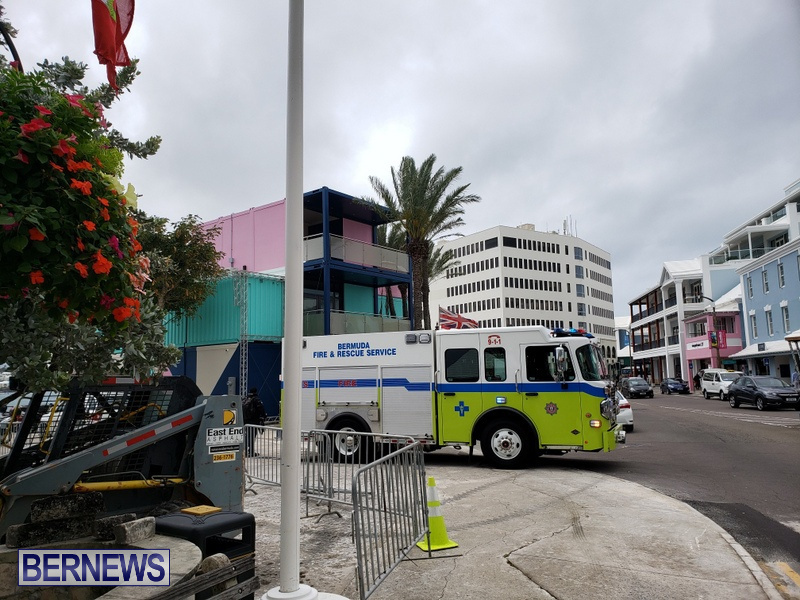 Can we start a petition to have that pile of scrap metal dismantled and replace it with a classy Bermuda Cottage that would enhance the entrance way and waterfront of our Capitol. Make it a structure and an icon that our cruise ship passengers will want to take pics next to…Put flood lights on it so it looks fabulous at night. 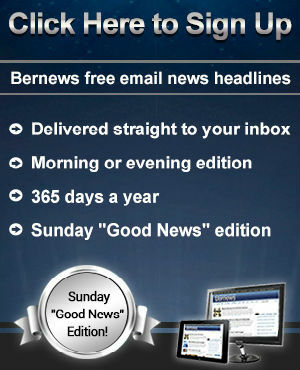 Make it a mix of our great Bermudian architecture. And make it Hurricane Proof for goodness sake.